Most of the fitness enthusiasts are familiar with fitness watches and are very much pleased with its performance. But, have you ever tried a smart watch? Smart watches, as its name suggests, is smart enough to provide lots of benefits that you can expect to have from a fitness tracker. Smart watches are attractive that can match up to your style quotient, meanwhile tracking your activities. Whatever you do throughout the day will be tracked by the smart watch, which can be checked later to see how much calories you have burned, and where you stand in terms of fitness. How do smart watches track sleep, heart rate, and burned calories? There are a few leading brands that have been selling top-quality smart watches, such as Fitbit, Garmin, Apple, and Samsung. The smart watches from these brands are quite popular among the masses as their products are made with a high standard known for durability, performance, and features. In short, you will find many brands quite easily, and the price varies with the number of features. The more features you want, the more you need to pay. So, what a smart watch has in store to offer? How Smart watches Track Sleep? Smart watches have the ability to track activities in a more efficient manner, unlike fitness trackers. All smart watches are capable of tracking heart rate 24 x 7 and keep you informed how well your heart is pumping. Smart watches monitor your pulse rate to inform you about your heart rate. So, with a constant tab on your heart rate, you can easily understand what level of intensity you need for your workout and how you move forward towards your goal. Apart from measuring accurate heart rate, smart watches also keep a tab on distance, steps, active minutes, calories burned, floors climbed, etc. It also keeps working when you are sleeping to track your sleep stages; REM, light, and deep. Smart watches feature an auto exercise recognition mode and on-screen training. The readings of all your activities are accurate when you are wearing a smart watch. The best part of choosing a smart watch is that you can get a built-in GPS facility. All the smart watches have built-in GPS, which allow you to check real-time stats of all your activities. No matter, wherever you go and whatever activity you do, you do not need your phone with you to keep your watch connected to WiFi to monitor activities. Smart watches are popular and one of the reasons for its popularity is the onboard GPS facility. The smart feature of the smart watch is that you do not need to carry your phone all the time as your smart watch can show all the notifications of your phone, including messages, call, emails, and all other facilities that you need. It not only shows the notifications but also allows the user to reply to the emails and messages and attend or reject calls. It also has voice assistance capabilities. Apart from Smartphone notifications, smart watches also show app notifications. Most of the fitness enthusiasts do not like the hassle to press buttons to operate the watch, for all such people, smart watches are a great option to pick as most or should I say all the watches have a touchscreen. You just need to touch the screen to adjust the setting according to your requirements. These watches are shock-proof and dust-proof. Plus, some watches are compatible with Android phones, some are compatible with iOS, while some are compatible with both. So, you need to check which device you use to evaluate what you want. There are many smart watches that are not only water-resistant up to 50 meters but also swim-proof up to 50 to 100 meters. It allows you to either go into the pool or take a shower with your watch on, it will not get damaged, nor do you experience any malfunction. As we have already discussed, smart watches work even when you are asleep. The sleep tracking capability of smart watches is accurate. So, how do smart watches track sleep? Most of the smart watches have a tri-axis accelerometer, which is known as an accelerator in your watch. This device made up of axis-base motion sensing that tracks your movement. Some smart watches even have a gyroscope to measure rotation and orientation. A process called actigraphy is used to translate your movement into a sleep pattern. Actigraphy is accurate enough to track sleep patterns. It is based on your movement. When you lie down, the smart watch keeps a tab on REM (rapid eye movement) sleep. Plus, the heart rate also becomes a basis of tracking sleep. When you sleep, of course, there is no movement, and your heart rate also changes. So, your watch starts measuring the time you spent sleeping. In a case you have a sleeping disorder, then the smart watch is not going to help you if you are only buying it to track sleep. 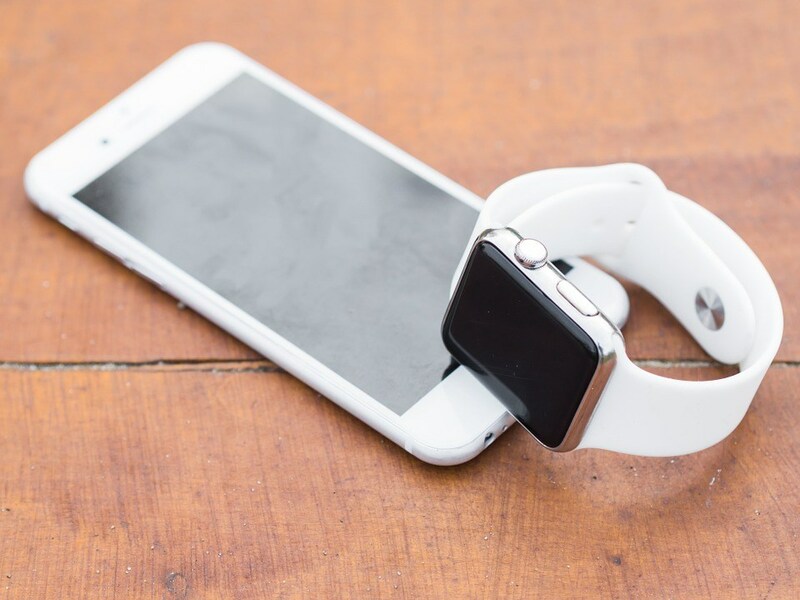 In this article, we shed light on ‘how do smart watches track sleep’ and also highlighted the features of smart watches. These watches are smart enough to provide useful information and stats about your fitness level. Smart watches track activities in an efficient manner. Almost all the watches have built-in GPS so that users do not need to take their phone all the time they went out for running, jogging, or working out. Smart watches have an accelerometer, which is known to track sleep. It uses a process known as actigraphy to check your movements to tell your sleeping time accurately.